 After posting on Bunz you’ll find many people making you offers. A phrase you may encounter is, “Anything in my profile?” Don’t fret! This is a common way for people to show interest in your post/item. What they want you to do is visit their profile to see if there is something you like of theirs! If you don't see anything in their profile consider kindly asking them to check out your ISOs! You may still be able to work out a trade. In general, be kind to each other! Not all trades are going to work out, and sometimes life gets in the way of speedy replies, so be patient & empathetic and your Bunzlife will be amazing.